otherwise you will be guided to the wrong address. 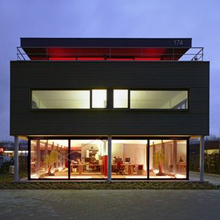 UltraGenda’s Offices were designed by the Belgian architect Hugo Koch and have been built to include energy efficiencies. We look forward to showing you around our building.